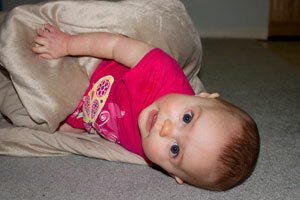 Infant Mobility – We Have Crawling! 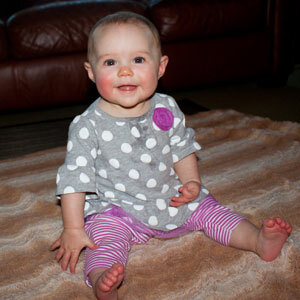 Watching the development of infant mobility is such an awesome thing. It starts out with rolling over. 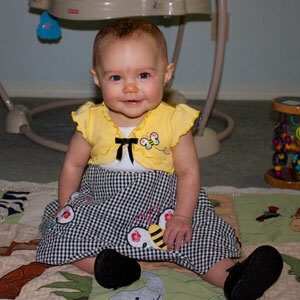 Next we’re thrilled by an infant milestone that involves being still: sitting. The final frontier of infant mobility is one that represents a need to baby proof things that you’d never dreamed of: crawling. It’s the last milestone that is truly a baby milestone before our babies become toddlers. Eudora has hit that last milestone. At eight months old, she is the terror of the floor. No one’s toes are safe as she roams the sea of carpet. On the bright side, though, she seldom sneaks up on you when she’s truly excited to go. She laughs and giggles and makes so much noise that you can hear her long before you see her… or feel her drool on your feet. 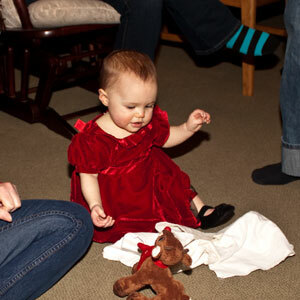 As much as we delight in watching Eudora get around, the reactions from the rest of the family have been mixed. T’akaya the Brilliant Border Collie is unperturbed by this development. She’s already been there, done that with Norton. Winston the Wonder Chihuahua isn’t to thrilled; he has to chase her down to lick her face. Norton is definitely not a fan. 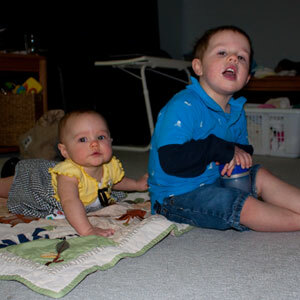 Now that Eudora can get around, it takes more effort for him to take toys away from her. Moving it just out of her reach is no longer an option. Now he has to take it away from her multiple times as she chases after it. It’s wonderful. I love watching her explore the world around her. It helps that the house was already somewhat childproofed from when Norton started developing his own infant mobility skills. 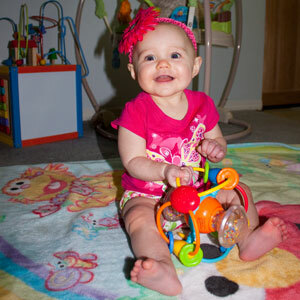 What was your favorite part of having a newly mobile baby? I love heirloom Christmas gifts. They’re always a special thing that is treasured, cared for, and passed on to later generations. There’s one in particular that I’ve got my eye on for Eudora. I’m thinking that baby’s first Christmas is a perfect occasion to get her a Royal Doulton Bunnykins china set. There’s a reason for the Royal Doulton Bunnykins being our place setting of choice: my husband had a set of Royal Doulton Bunnykins. The bowl with his set was actually his father’s, and the rest of the place settings were added for my husband. Now that set is Norton’s. Since that’s already been established as one of our family’s traditional heirloom Christmas gifts, getting one for Eudora is kind of a necessity. Granted, hers will not be as old as her brother’s, but it will still be something lovely for Eudora to pass on to her first born child. I’m not sure what it is about the Royal Doulton Bunnykins sets that make them such treasures. Is it the variety of patterns? Or the way that each picture pattern tells a story? One thing that is always consistent, though, is the trail of running bunnies around the edge of the dishes. 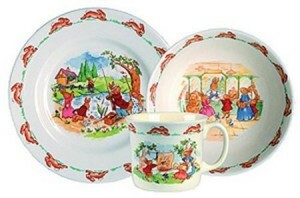 Granted, there are some differences in the Royal Doulton Bunnykins dishes that are produced now versus when my father-in-law and my husband’s dishes were made. Now they are made in Indonesia instead of England. Now the images are appliquéd instead of hand painted. Still, though, I’m determined to make sure that my daughter has a Bunnykins set of her own. Maybe we’ll buy a vintage one at the next antique fair in town. 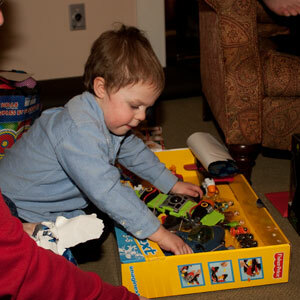 Do you have traditional heirloom Christmas gifts in your family? What is it that you like to pass on?